Posted on May 18, 2016 by thelostlighthouse	in Board Games, Gaming, The Tabletop Project and tagged 2-4 players, Asmodee, board games, board gaming, Space Cowboys, time travel, TLL, tllgaming. And that’s my final thought on the game…wait, something’s wrong. I know what’s happened; we’ve jumped in at the wrong point of the run. Let’s spend some Time Units and jump back to the beginning of the article. So this piece will focus on how I feel about the mechanics, aesthetics and general play style of the game but will give away none the important story hooks. As I previously stated our play group has only got half way through 3 “runs” into the mission supplied with the base game, so my opinions may change in the next article after we’ve finished. So take them with a pinch of salt. Look at how cool those component slots are! Upon looking at the contents of the box, you know this is a different game. I’m a huge fan of RPGs and from what I’d heard of the game that would help. The components are fascinating; the pieces that represent the players are huge! It feels as if the designers looked at standard games components and went “our game’s completely different, let’s not have standard components”. One thing I really enjoy about the box design is that you can essentially “save” your game progress ready for your next session. 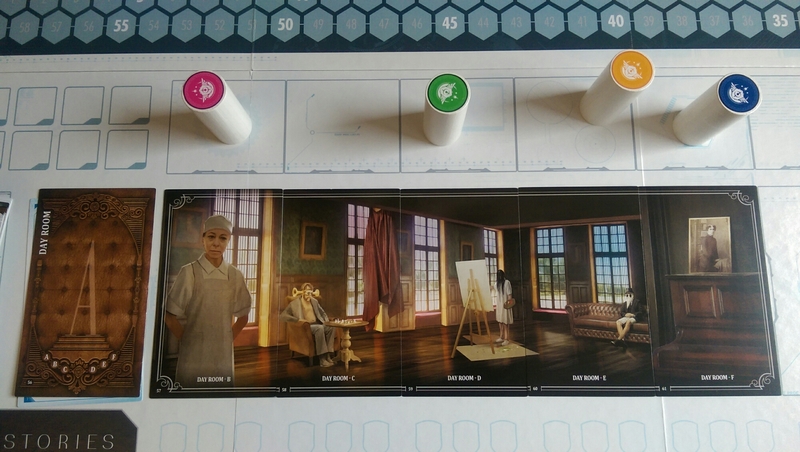 The board itself is a blank canvas which is perfect considering the idea of the game. I feel I’m getting ahead of myself. If you haven’t heard about T.I.M.E Stories, you and between 1-3 other players take on the roles of agents sent back to some time in history, ours or otherwise, to correct something that has gone wrong. Problem is, time travel takes a lot of energy and it’s not long till you’re ripped back to the future. Every trip is called a run, and every time you try to do something during a run it costs Time Units (TU). Once you’ve spent an allowed amount of TU during a run you have to start again from the beginning. But hopefully you’ll bring along some memories and items from your previous run(s). 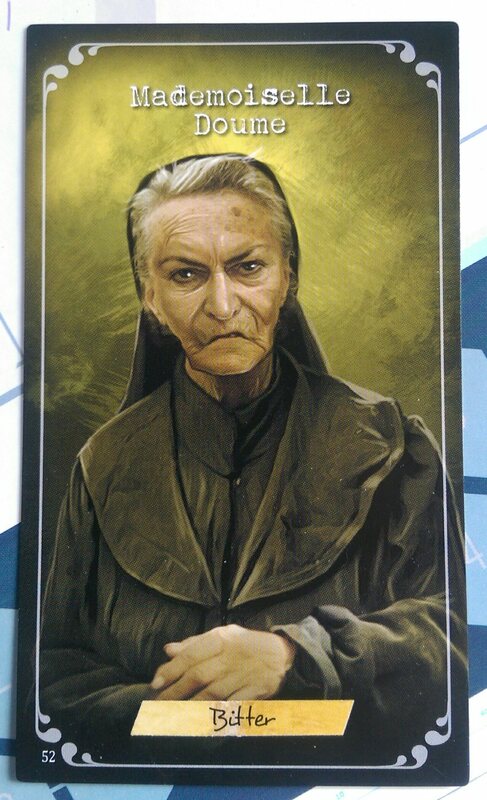 I played as Mademoiselle Doume. Bitter as hell, and twice as tough! You each pick a different person for your agent to inhabit while they have slipped back through time. Some are better at conversations, some are better at smashing heads! Classic RPG style. It really benefits your party to take a mix. Your “view” during the game is a panorama, which changes per location you go to, of the area you are occupying. This could be a roof or a cave etc. 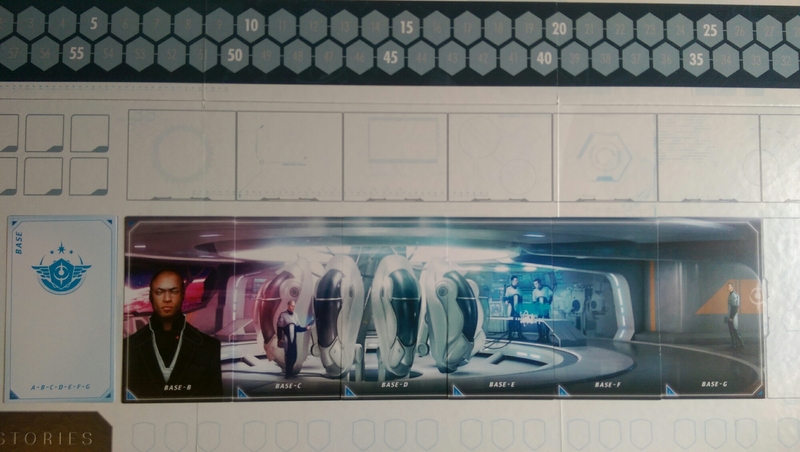 you can move your agents around the panorama to interact or talk to various people. Some times for better or for the worse as you are occasionally drawn into fights. 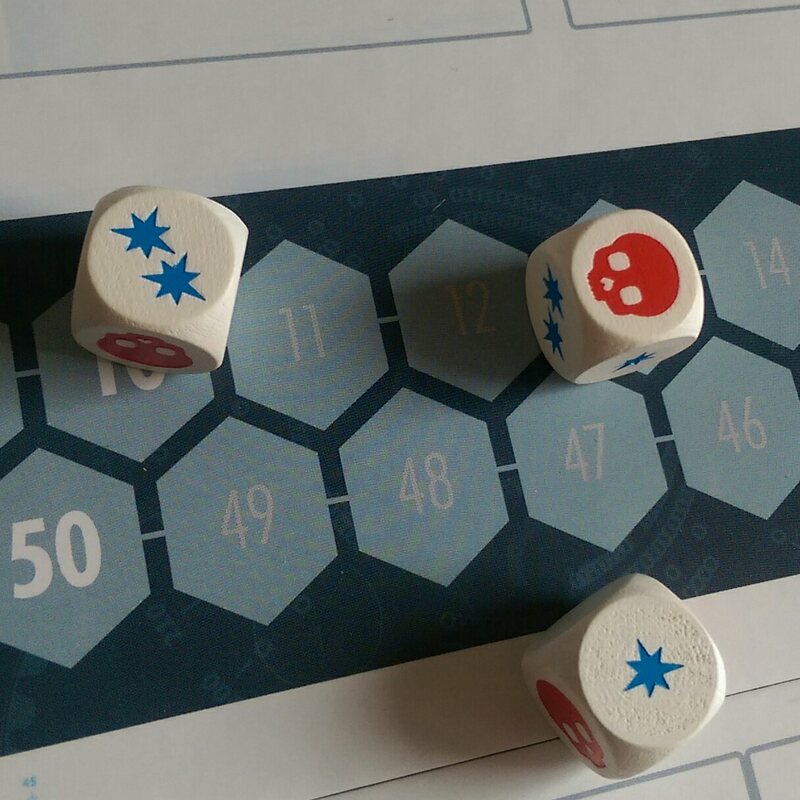 The dice mechanics are really simple, though the rule book sometimes isn’t as clear as it could be. As you travel to different locations, you slowly start to piece together the mystery you are there to solve. Then, inevitably, you run out of TU and have to start again. I believe you are meant to get quicker with each run as you know where things are and who you can ignore. The artwork is a true highlight. The mission in the core box looks beautiful. It really has that American Horror Story vibe to it. I’d even advise putting on some creepy music while playing. Time Units run out much quicker than you'd hope! So I and my crew are 2.5 runs into a game. It’s a completely new experience for us; it has such a unique playstyle. I really enjoyed reading out the cards and the look on people’s faces when, as a team, you’ve made a bad move, or the joy when you’ve solved something. I’d advise a “no phone at the table” rule as it can really break the vibe of the game if people aren’t paying attention, it also doesn’t help as you need to remember things people have said to you from previous encounters. I can’t give a full opinion yet as I’ve not finished the first mission but the “re-run” style mechanic is looking to be a blessing and a curse at the same time. On occasions it’s really nail biting trying to get stuff done before your run ends, other times it just gets a bit tedious redoing the same things 3 or 4 times. I’m hoping once we have finished the first mission that opinion will have changed. 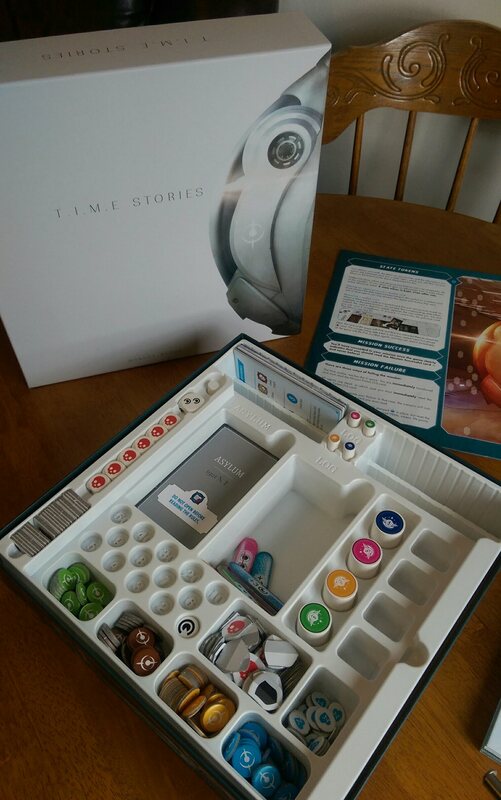 Overall, at this moment in time, I’d say T.I.M.E Stories is still worth picking up, it’s so unique in its play style and really gets the players immersed in the story. 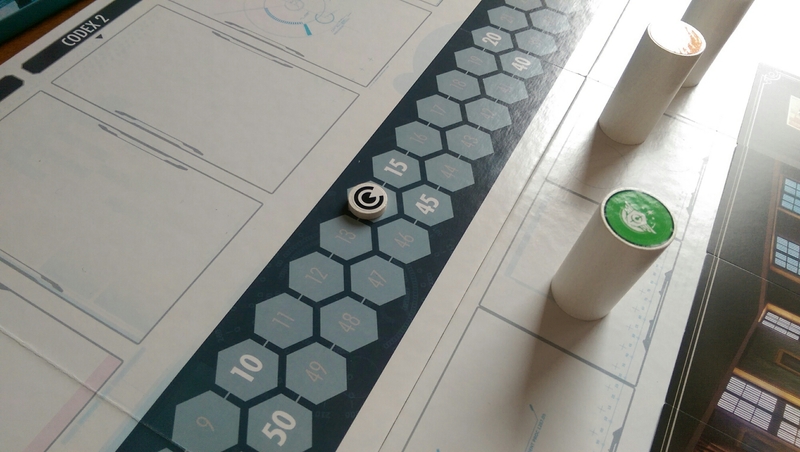 The fact each expansion just “plugs in” to the game board is really cool. So until my final review, get in your time pods and secure yourselves, for time travel can be a little bumpy!